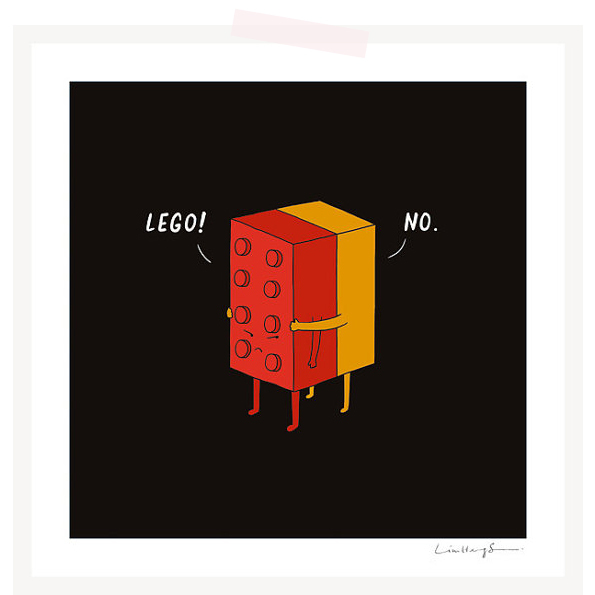 Between Q's love of Legos and my love of hugs, we may have to find a spot for this little print in our home (made by I Love Doodle). Too cute. I think you must get it then! Haha, makes me laugh. I love his angry eyes. My boys are mad about Lego these days. I keep stepping on it. It's killer on the feet! oh man, his work is so fabulous. always makes me giggle. Complete and total awesome sauce! Oh that is just too freakin' much. I need one.